The module is part of SkyRadar’s Radar Training System. It provides a fully operational Constant Wave radar for civil, naval and military oriented radar training. 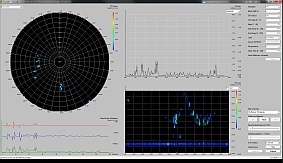 SkyRadar PSR allows for experiments from basic working principles like the radar equation to most complex radar scenarios, working on pulsed-based radar hardware in the modes Frequency Modulated Constant Wave, Doppler and Frequency Shift Keying (FSK). 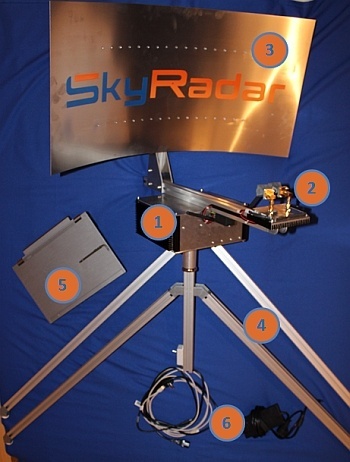 At the heart of the system, the SkyRadar Laptop operates with a hardware-based Pulse Radar (picture similar). The transmitter can send very short pulses through the antenna into the environment and will monitor the reflected pulses. The pulses are reflected off fixed objects (buildings, trees…) and moving objects (cars, people…) which pass the antenna beam. 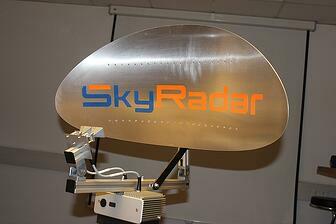 SkyRadar PSR provides the opportunity to study MTI and Doppler effects. 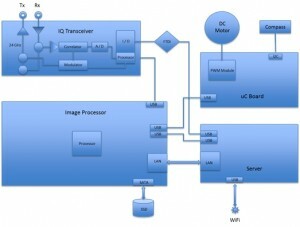 The signals are digitally processed and recorded using a Digital Signal Processor, data is depicted on the Laptop. Standard: Horn Antenna. Default operation in the k-Band. With other antennas, other bands (x-band) are optionally available. Optimized for detection of real targets in a 3-dimensional space within laboratories or outside. No limiting target table or rail system required. 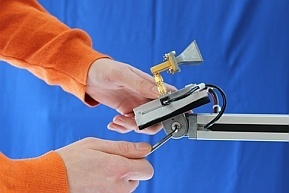 Frequency Shift Keying (FSK) operation mode for high resolution distance measurements of moving objects, especially when used in outside experiments. 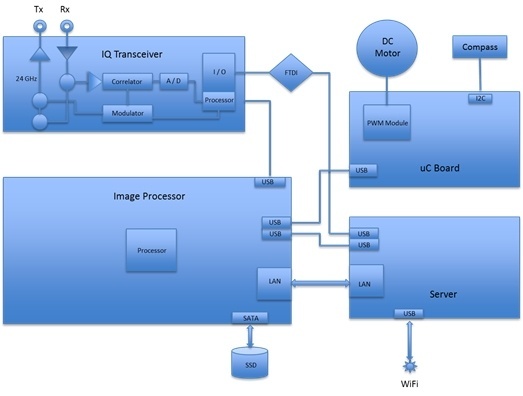 Analysis of the Pulse Train Frequency, which is directly measured at the gate generator. Raw data recording for post processing and replay in offline mode.